Beautiful and powerful was this Alco-Schenectady 4-8-4 Northern style steam locomotive built in January of 1927. 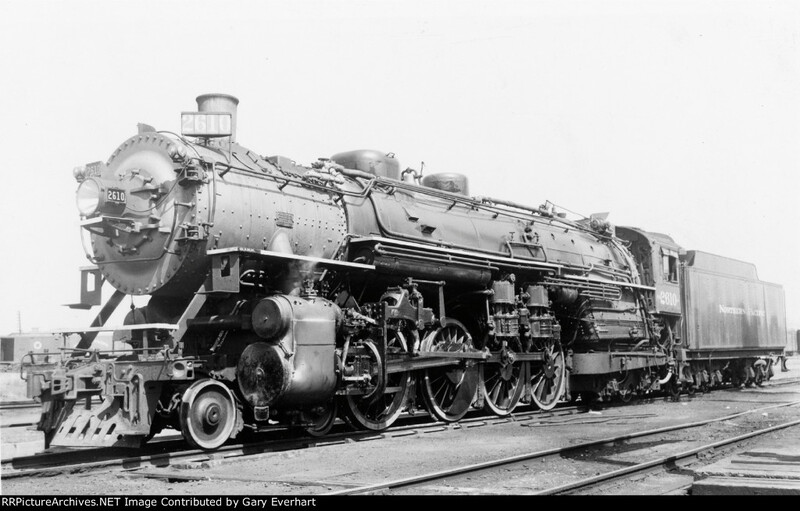 She was a member of the class A group, the very first 4-8-4's built for North American railroads after collaboration between Alco and Northern Pacific. The wheel type name was literally a shortening of the orginal label of "Northern Pacifics". After these beauties started in revenue service replacing double header Pacific sets, there was a sudden drop in use of helper engines throughout their service area due to the increased horsepower of these locos. Of the eventual 49 iconic Northern Pacific Northerns that were built for the NP by vairous companies, none have survived the scrap yards.